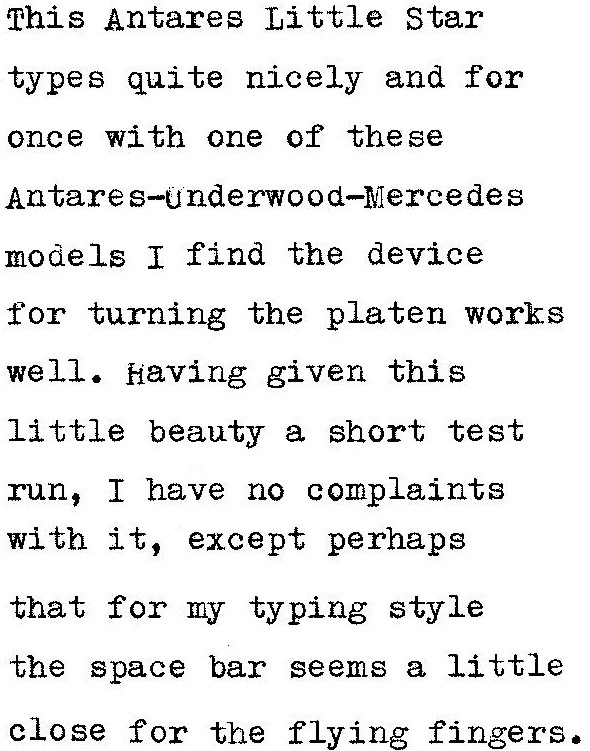 After posting on the Adler Tippa Pilot the other day, Dwayne and Rob Bowker commented on its similarity to the Antares Parva. "Sleek and tasty looking!" said Rob. 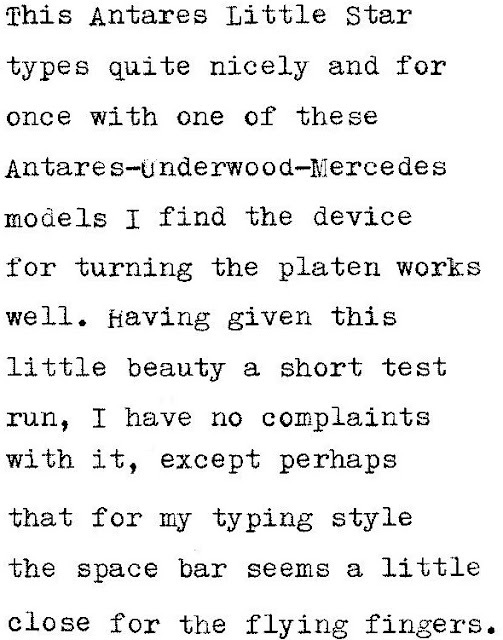 "So much stylistically in common with Antares Parva too." Dwayne added, "It has a passing resemblance to the Parva ..."
Their remarks made me realise there were certain likenesses, especially in the flat top, the panels beside the keyboard, the paper plate and the rim around the outside. So I went digging for a couple of Antares models today. The Parva didn't come readily to hand, but the Little Star did. I put it beside the Adler Tippa Pilot, and also tested the Little Star. The Adler Tippa Pilot is marginally lower and smaller all round. Dwayne said he had read many horror stories about Antares machines, but I must say this particular model performed very well. 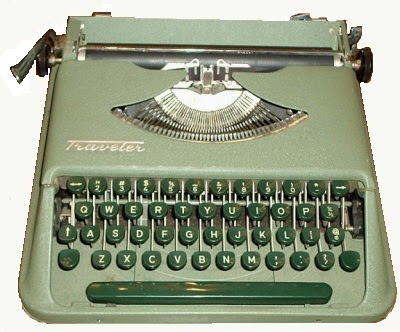 Very nice typewriters. I wonder if both companies contracted their housing with the same 3rd party metal shop and hence the similarity.